Among the authors are Christophe Girot, Saskia Sassen, Charles Waldheim, James Corner, Annette Freytag, Susann Ahn, Regine Keller. 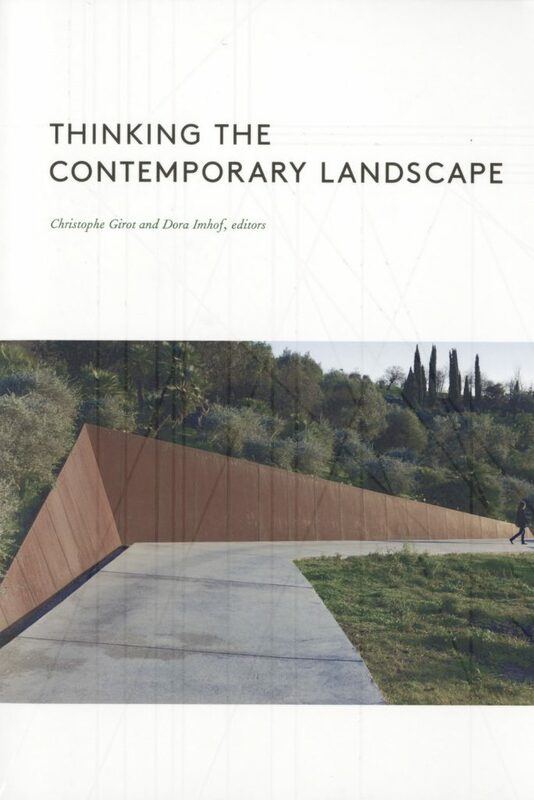 Thinking the Contemporary Landscape, a 17-essay collection, attempts to set up a discourse between opposing ideologies, such as science and memory, power and territory, fact and myth, in order to present an all-encompassing theory of contemporary landscape practice. Examining our shifting perceptions of nature and place in the context of environmental challenges and how these affect urbanism and architecture, the seventeen essayists in Thinking the Contemporary Landscape argue for an all-encompassing view of landscape that integrates the scientific, intellectual, aesthetic, and mythic into a new multidisciplinary understanding of the contemporary landscape. A must-read for anyone concerned about the changing nature of our landscape in a time of climate crisis. “This compilation of 17 essays on the modern meanings of landscape architecture is largely academic but does occasionally surprise. The chapter by Kongjian Yu, FASLA, Think Like a King, Act Like a Peasant: The Power of a Landscape Architect and Some Personal Experience provides fascinating perspective on China, where rapid development and industrial degradation make for much to do.